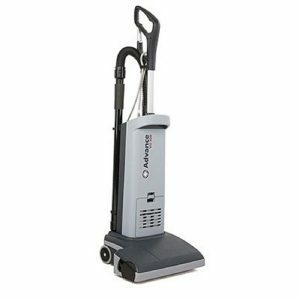 Lightweight Adgility XP backpack vacuums deliver comfort, quiet, performance and affordability for multi-surface cleaning in offices, classrooms and other facilities with hard and soft flooring and tight spaces. The ergonomic Adgility XP’s premium cushioned harness distributes weight more evenly and higher on the back, resulting in reduced fatigue and better productivity. Due to superb balance, the Adgility XP moves with the operator when bending or twisting and feels significantly lighter and more nimble. The Adgility 6XP is packed with power, are quiet enough to use any time of day without fear of disturbing building occupants. 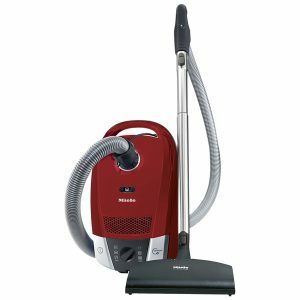 The quiet 1,300-watt motor moves 144 cubic feet of air per minute, to out-clean its noisier competitors. Adgility XP comes standard with four levels of filtration. An optional H.E.P.A. filter removes 99.97% of dust particulates down to 0.3 microns. 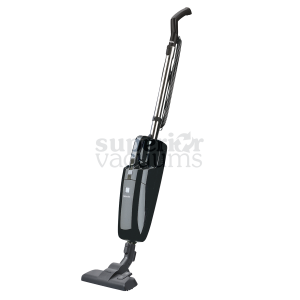 Unlike other backpack vacuums, the filtered air discharge for the Adgility XP is directed back and away from the operator, eliminating a constant blast of warm air on the lower extremities that can contribute to operator fatigue and discomfort. 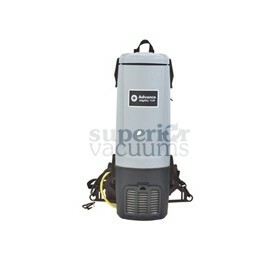 This design also allows the Adgility XP to continue operating if the machine is placed on the floor or another surface.